The human health impacts of climate change are myriad and include heat-related illnesses and vector borne diseases like Lyme disease. However, a new public health consequence of global warming has recently come to light: antibiotic resistance. Earlier this week, a study published in the journal Nature Climate Change reported finding that higher local temperatures and population densities are associated with increased antibiotic resistance of common pathogens. Researchers looked at 1.6 million bacterial specimens which showed resistance to antibiotics from 2013 through 2015 in various geographic locations in the U.S. These specimens included three common and deadly pathogens: Escherichia coli, Klebsiella pneumoniae, and Staphylococcus aureus. Researchers also explored how population density may be related to antibiotic resistance. They found that for every increase of 10,000 people per square mile, antibiotic resistance in that area increased by three to six percent. Prior to this study, most research about antibiotic resistance pointed to the overprescription of antibiotic medication as the primary reason for antibiotic resistance, but now, climate change and population density are known play a part. A recent Pew Research Center survey details how U.S. residents perceive both the effects of climate change and the federal government’s response to it. The national survey, which was administered during March and April 2018 to 2,541 adults, found that six in ten people living in the U.S. say that climate change is affecting their local community. Differences were observed by political leanings, with 76 percent of Democrats saying that climate change is affecting their local community and about 35 percent of Republicans responding in the same way. Political party was not the only differentiating factor, however. Respondents also differed in their perceptions based on distance from the coasts. People that live within 25 miles of a coast were 17 percent more likely than those that live more than 300 miles from the coast to say that climate change was affecting their local community. Regardless of whether respondents believe that climate change is affecting their community, a majority (67%) of respondents agreed that the federal government is not doing enough to combat climate change. So, what climate-smart policies were respondents in support of? 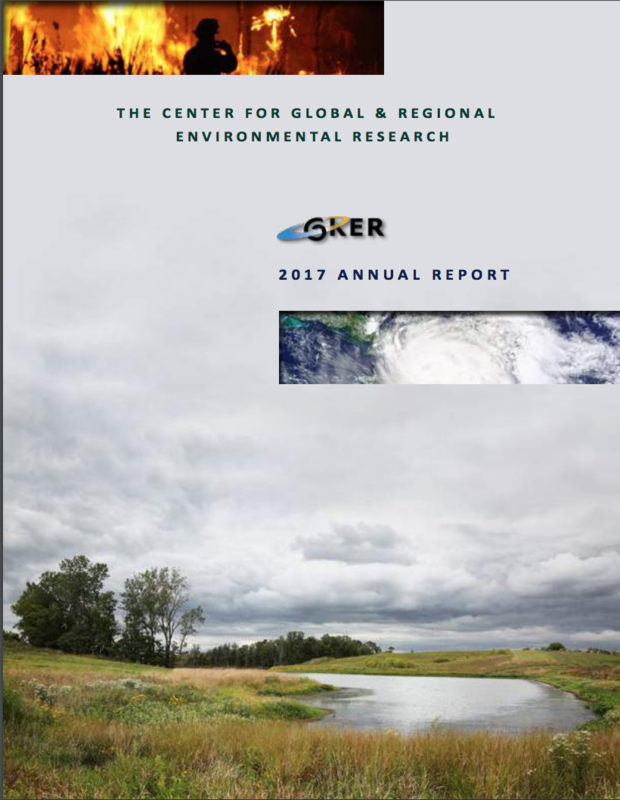 Seventy-two percent of participants supported efforts to further protect the environment from energy use and development. Similarly, 71 percent said they would like to increase reliance on renewable energy. Solar panels (89%) and wind turbines (85%) received overwhelming support from respondents, regardless of political affiliation. This survey’s results reflect responses from a similar Pew research survey administered in 2016. The changing climate is forcing farmers to adapt, but how do rising greenhouse gas levels impact the food on our dinner plates? A Harvard School of Public Health study looked at how more carbon dioxide in the atmosphere affects nutrient levels in six primary food crops: wheat, rice, field peas, soybeans, corn and sorghum. The researchers split plants of the same crop up between two groups. The first group was cultivated in an environment with between 363 and 386 parts per million carbon dioxide (CO2). This was the amount of CO2 in the atmosphere at the time of the study, in 2014. The second group of plants grew up in an environment with between 546 to 586 parts per million of the greenhouse gas in the air. This is roughly the concentration of CO2 expected to be in Earth’s atmosphere within fifty years. When it was time, the scientists harvested the crops and measured levels of key nutrients in them. They looked specifically at zinc, protein and iron. The study found that plants grown in environments with higher concentrations of CO2 were less nutritious than their counterparts. Wheat, rice and soybeans were all found to have lower levels of zinc, protein and iron in the higher CO2 conditions. Animal products are the primary source of protein for most people in the U.S., but people in other parts of the world rely heavily on rice and wheat as their main protein providers. These foods are naturally low in protein and further deficiency could be devastating. One study in the Journal Environmental Health Perspectives found that these projected impacts could cause an additional 150 million people worldwide to be protein deficient by 2050. Protein deficiency can cause low birth weight and other health problems that stunt growth and development. Tuesday was the first day of spring, but that is not good news for everyone. Last year was the worst year for seasonal allergies and experts expect this year to bring more of the same. Climate change is allowing for pollen-producing plants to bloom early and stay alive longer as warmer seasons grow in length. Allergen and pollen counts are skyrocketing and the length of allergy season is growing around the country thanks to higher average temperatures. 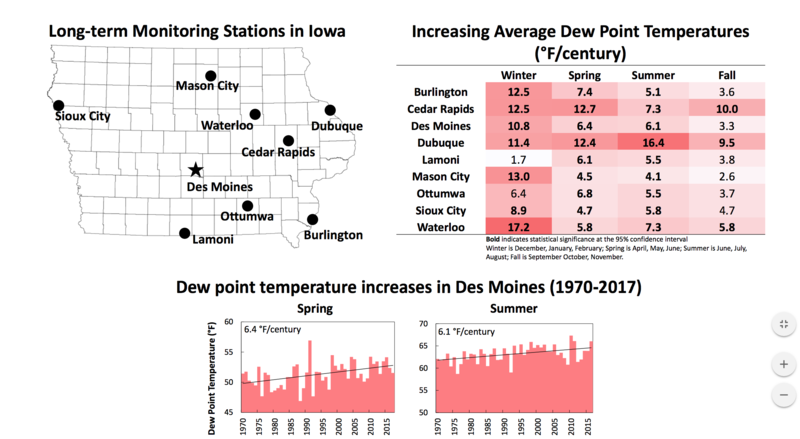 Since 1995, the length of ragweed allergy season in Iowa has increased by 15 days according to the Environmental Protection Agency. The Center for Disease Control reports that more than 50 million U.S. citizens now have seasonal allergies each year, and that number is growing. Medical experts have reported that many people are beginning to suffer from seasonal allergies for the first time during adulthood. Allergy symptoms can range from itchy eyes and sneezing to potentially life-threatening anaphylactic shock. It is estimated that these symptoms cost the U.S. healthcare system $3.4 billion and $11.2 billion every year in direct medical expenses, and keep many Americans home from work. More common and intense seasonal allergies are just one of the human health consequences of climate change. Studies have shown that U.S. residents can also expect increased incidences of heat-related illness, higher risk for diseases from vectors like ticks and respiratory complications related to poor air quality. A complete map of climate change’s effect on human health in specific regions of the U.S. can be found here. During a recent speech at Georgetown University, former Secretary of State Hillary Rodham Clinton pointed out that women are disproportionately affected by climate change worldwide. The gendered effects of climate change extend beyond communities in developing nations, however. Researchers from the Natural Resources Defense Fund point out that two-thirds of those jobs lost after Hurricane Katerina in New Orleans were lost by women. Job creation during the rebuilding periods following natural disasters are primarily in the construction industry and go almost exclusively to men. As a result, 83 percent of single mothers were not able to return to New Orleans following the hurricane. The changing climate poses unique risks to women’s health as well. Increasingly frequent and intense heat waves can cause low birth weights among pregnant women. Women are also fourteen times more likely to die during a natural disaster than men. Researchers link this to insufficient access to information and warnings as well as a difference in women’s ability to cope with such events. As Clinton put it, women “bear the brunt” of a changing climate. Perhaps that’s why women in political positions of power are more likely than their male counterparts to sign off on treaties that combat climate change.